Place by your desk or bedside table. In it, you'll find 35 TMJP branded cards to stay accountable to your goals. Every day, you'll track your water intake, veggie intake, workout, and "hard habit to break." You'll get daily inspiration, motivation, and education to learn how to eat to fuel your body, as well as tips on meal prep, emotional eating, and social eating. 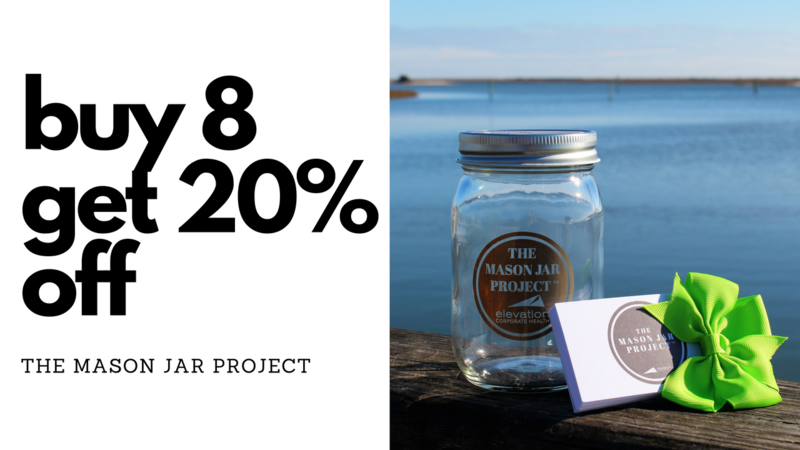 The BEST way to do The Mason Jar Project is with a friend, coworker, or group! It's a great opportunity to create accountability and work towards a common goal. Feel free to email Angela Nichols at [email protected] for group/corporate pricing.